Made the TCMP spacing less generous. Excuse me, I’ve download the codes but don’t know how to get the EEG waves by the headset. Could you kindly tell me how? 1.) Close any apps that could be connected to the MindWave – ThinkGear Connector should be ‘disconnected’. 2.) Open ThinkGear Connector and note the COM port. 3.) Open Lucid Scribe and select the COM port. 4.) ThinkGear Connector should remain ‘disconnected’, but Lucid Scribe should pick up the signal. Have a look at this thread: https://lucidcode.com/2012/10/23/neurosky-thinkgear-eeg-0-9-6/. Thanks a lot! I’ve successfully get the EEG graphs! And another question. What does the graphs saved in “logs” file mean? Does the axis mean the amplitude and the frequency? The amplitude of an EEG signal typically ranges from about 1 uV to 100 uV in a normal adult, and it is approximately 10 to 20 mV when measured with subdural electrodes such as needle electrodes. I have found that it sometimes take a minute of sitting still before the signal smooths out. Here is a picture of the ideal positioning: http://i.imgur.com/vju1mab.jpg. Do you get the live data feed in the current window? What happens when you browse to a log, e.g. : Logs/2014/02/24/01:30? Do you just get an empty graph? p.s: i have checked the log with a texteditor, seems like the data its in the file, but it doesnt show it on the application. It only saves to file every minute. Do you have the NeuroSky RAW channel enabled? i have only enabled neurosky eeg, attention, meditation, alpha, beta, delta, gamma, theta, blink strength. does the neurosky raw channel affect the writing in the file / the display of the data? sry for my distrub.. but if i want to export the data as a videofile it gives me a error “AviStreamSetFormat” – are you know if i need to install some drivers or something for that feature? Select “Microsoft Video 1” as the Compressor and let me know if that works. You might have to restart Lucid Scribe after that error as it might think it is still in the video recording state and disable the export options. i have try it, but it give me the error “The input string has the wrong format.”. I have already tested compressing level 0 , and another compressing levels, but that didnt work. The other Compressor´s didnt work too. And yeah, after every error i need to restart lucid scribe thats right. That sounds like an error related to the data file again and not the video. Try to export a single minute file (by right-clicking on the minute) and exporting only one channel that is currently active with “Microsoft Video 1″. okay, have tested it – didnt worked, same error message. Thanks for testing it. Will have a look when I get a chance and let you know. I see you were trying to record an hour to video… I get the same error there and will see if I can fix it. Try to export to video from a minute file – that should work. If it does work, you can right-click and select export to video on the minute you want to start with, and then select the minute to end with under End in the dialog. The hour export should work now if you haven’t run the installer yet. Just beware that it might take an hour to make the video… you might want to start with a minute. Oh no, sorry about that. I recently added the RAW channel and have only been testing with it on, so it must be breaking if the new channel is null. I will see if I can fix that in the next release. The data for the hour overview wasn’t saving properly. I have fixed it in version 1.3.6. You should still have all the data from your session if you drill down to the minute level. Please let me know if it works better now and if you are still having problems exporting a minute to video. I was able to do it with the latest version. Sure. I started with the Yoctopuce relay in ThinkGear EEG 1.1.0. If you check the tACS box, then it will change the relay to the state in the first drop down list during REM, and to the state in the second drop down list when REM ends. Let me know if you get any error messages or if it is able to change the state of the relay. Do I still need to make it send a pulse for n milliseconds? Or will it work for you just by changing the state. Elite. Hit me up with some LSD files of your progress, perhaps I can see something in the logs and offer some suggestions. Good luck! Damn,the Neurosky headgear keeps slipping off while asleep, poor design. 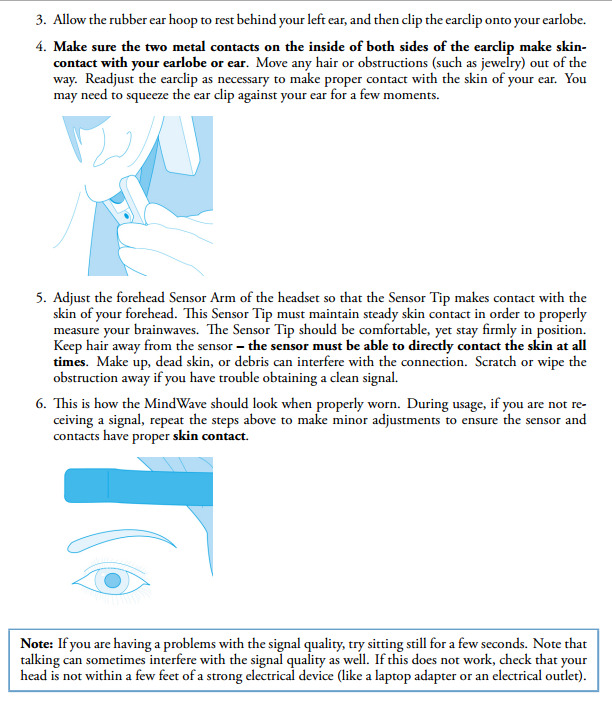 Need to find a way to keep it secure…Will try the headband hack. I share your interests in lucid dreams and read through the posts and saw your data from the device you crafted out from the Mindwave. Your fascinating work is absolutely impressive! Very curious to know the outcome. You have identified the REM, and played sound track, did it consistently trigger lucidity during your dream? You mentioned once that your wife’s voice caused a little accident. How about after that? Does it work well? Thanks! I was never able to get the EEG readings to be consistent – too much interference from dry skin, sweat, movements, and breathing artifacts. I have it working pretty well with the night-vision cameras now. It is consistent in the sense that it always detects eye movements and triggers the audio tracks when the conditions are right. Some nights there are barely any eye movements and no vivid dreams or any dreams at all. And some nights the (infrared) lighting conditions or position / angle are off. But when all the stars are aligned the tracks – especially the short ones, bleed into the dreamworld and trigger lucidity. Have you seen the latest updates on LSDBase? I almost have a standalone version of the device ready… the current setup is a little too complicated and requires a laptop with a network cable to control the device.